We to have a few low-maintenance dinners in the mix around here. 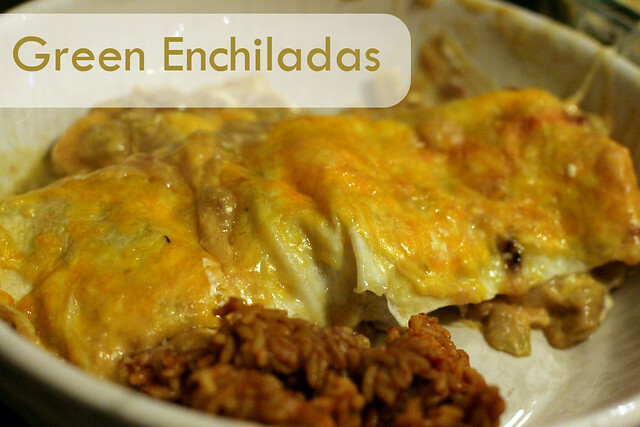 I love this Americanized enchilada recipe because all I have to do is mix a few ingredients together and pop it in the oven. I also like that this can be vegetarian or meaty very easily: either put in vegetarian refried beans or shredded chicken. When we go the chicken route, we make it super cheap and easy by buying a grocery store cooked rotisserie chicken, so we only have to tear off some chicken-y goodness. Here’s to almost no prep work! Mix chicken or beans, cream cheese, half of the colby jack cheese, chilis, 1 can of enchilada sauce and salt and pepper in a large bowl. Portion mixture into tortillas and wrap them. 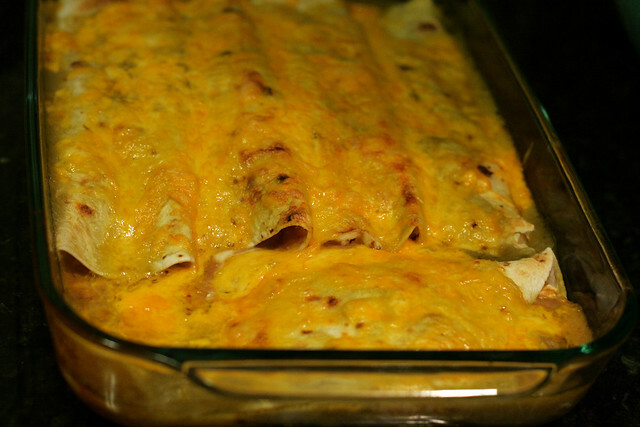 Place them in a 9×13 greased baking dish until the dish is filled with enchiladas or you run out of filling. 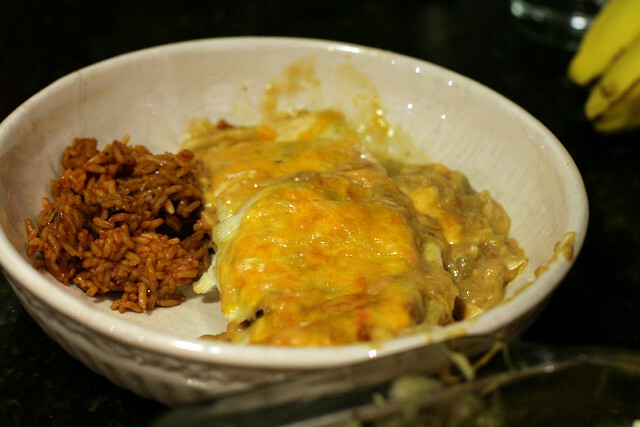 Cover the wrapped enchiladas with the second can of enchilada sauce and the remaining cheese. Bake at 350 degrees for 15 minutes, then broil on high until the cheese is brown and bubbly. Serve this with spanish rice and fresh fruit and you’ve got yourself a meal! Do you have easy dinners on your go-to list? Find more recipes from the Nerd Nest here.